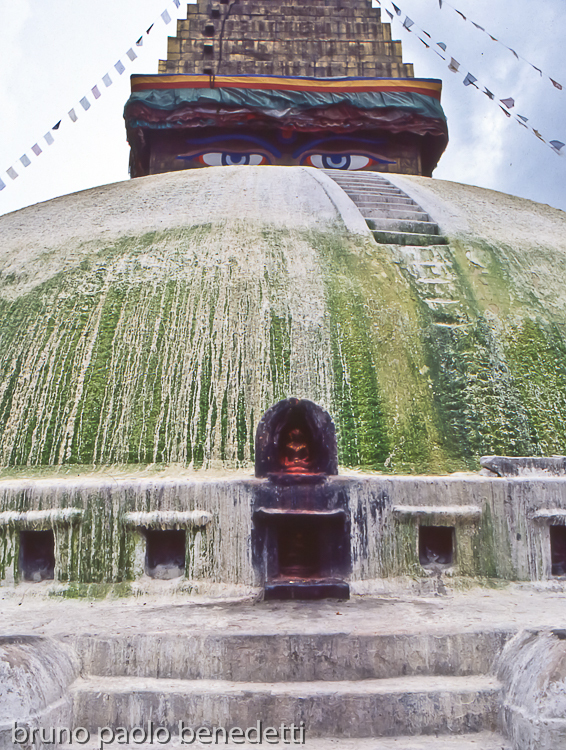 buddhism in Nepal: particular of eyes of buddha in Bodnath stupa. Lateral view below the eyes. Picture from below, in foreground a stair, in middleground a symbol, at the rear the stupa covered by green musk, the eyes emerge from stupa.